As a locally based veterinary practice, Vale Vets have over 25 years experience providing expert advice and assistance to clients and their pets throughout Mitcham and further afield. We understand the importance of ensuring that your pets have the very best healthcare around, which is why we focus on building lasting relationships with all our clients in order to provide them with the services they need. Vale Vets is situated on Streatham Vale just north of Mitcham so for many Mitcham residents it is the nearest veterinary surgery. The railway line can be crossed at the level crossing on Eastfields St and then Grove Road leads up to Streatham Vale. Alternatively Manor Rd and Rowan Rd lead up to the Vale. One of the benefits of the Greyhound Lane railway bridge closure is that traffic on Streatham Vale is very light so The Vale is now a very easy place to park and shop. Vale Vets benefits from excellent free on street parking outside the surgery (avoid the zebra crossing zigzags), on Woodmansterne Road, or to the side on Farmhouse Road – approached via Abercairn and Granton Rds. Whether you have a small animal, a cat or a dog, we focus on providing expert support throughout their lives from basic checkups to vaccinations for new puppies and kittens and expert aftercare advice when introducing a new pet into their homes. 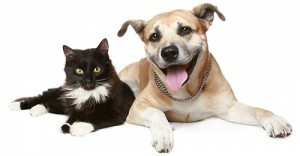 Why not sign up for our pet care plan? With a wide range of free appointments available including a years’ supply of flea treatment, vaccinations, checkups and 10% discount off everything else, our pet care plan is perfect for clients wishing to make sure that their pet’s health care is in good, professional hands. We provide specific puppy and kitten care as well as insurance advice and hospitalisation care so that you have nothing to worry about when bringing your pets in for our care. Please visit our services page for a full list of our services in detail. We take pride in offering a valuable and reliable service and we build lasting relationships throughout the course of our patients’ lives in order to ensure that they receive the best quality of life. The positive testimonials we have received over the years reflects the dedication we have to all clients, past, present and future. Dave Salisbury Jones founded Vale Vets in 1996 and since then has treated countless pets throughout Mitcham. Mr Jones has since dedicated his time and effort into creating the perfect workspace for both patients and veterinarians in order to ensure that our clients receive the very best service possible. In 2003 we extended our premises to provide emergency services and healthcare 24/7 on Streatham High Road in addition to expanding the main surgery. Further developments in 2005 and 2006 has seen the practice gain more consulting space, larger reception rooms, an X-ray facility and adequate kennelling space for visitors. It is our focus to ensure that Vale Vets remains a pleasant experience for visiting and staying pets and their owners to make sure that their road to recovery is as smooth as possible. With established, lasting relationships we are proud to offer a first rate level of service in everything our clients need when it comes to the health and wellbeing of their pets. Dave Salisbury Jones has been working at Vale Vets for the last 25 years and has treated several generations of Mitcham’s pets. The redevelopment of the surgery a few years ago has made Vale Vets a more pleasant experience for pets and their owners. If you are looking for vets in Mitcham but require a friendly and professional vet practice, contact Vale Vets today to book an appointment. If you live near Mitcham including Morden, Wimbledon, Tooting, and Croydon you will also benefit from being in close proximity to the clinic. You can find more information on our areas we cover and services pages. Call us on 020 8679 6969 and speak to a member of our professional team or alternatively email us at info@valevets.com and we will get back to you as soon as possible. We hope to hear from you soon.